Essential oils are catching on as a natural way to spruce up your home. However, many people are unaware of the full array of uses for essential oils in the household. 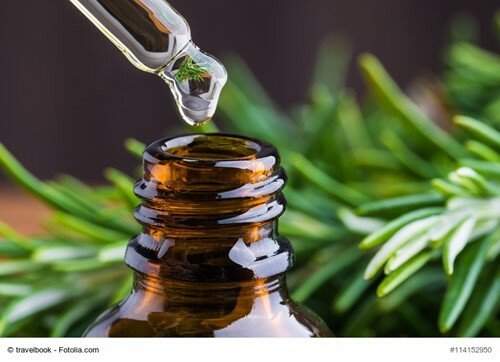 In this article, we’ll cover some of those uses that you may not have heard of, and give you some tips on which essential oils are the best to use. Essential oils are the result of distilling large amounts of herbs, spices, or other plant-based materials. There are dozens of essential oils commercially available and they all emit strong aromas that can be used in multiple ways. When buying oils, it’s important to check the labels to make sure you are buying 100% pure essential oils. Many companies dilute their oils in a carrier oil such as olive oil, coconut oil, or almond oil. While this isn’t inherently bad, it does probably mean you’re getting less for your dollar due to being diluted. Aside from smelling nice, essential oils are often used for aromatherapy and other medicinal uses. However, be aware that they are not intended as a treatment for any medical condition. Similarly, some oils might cause an allergic reaction in some individuals. So, be careful when spraying them in the air or using them on your skin if you think you might be allergic to a certain oil. Which oils are best for use around the home? There are dozens or even hundreds of essential oils that have various scents and uses. However, some are more pleasant and suitable for the home than others. There are various kits available online that include some or all of the oils listed above, or you can buy them individually from retailers. Used as an air freshener with an oil diffuser. These diffusers humidify the air while diffusing the oil into the room, resulting in a pleasant aroma. Mixed with water or alcohol to make a fabric spray. You can find several formulas for creating a fabric spray. However, the easiest way to quickly freshen up the sofa or carpet is to mix 10% oil to 90% water or ethanol and put the mixture into a spray bottle. As a natural cleaning product. Lemon, lime, lavender, and peppermint all make great additions to a homemade cleaning solution. Diluted with water and vinegar, many essential oils can be used to freshen up a countertop or scrub a sink. Spruce up your clean laundry/linen. You can put a couple of drops of lavender onto a damp washcloth and put this in your dryer with your clothes to give them a nice fragrance. This works particularly well if you use unscented laundry detergent. However, be sure not to go overboard--essential oils are strong and some can cause skin irritation. Refrigerator deodorant. The best way to get rid of the smell of a refrigerator is to give it a thorough cleaning. But afterward, help keep it smelling clean longer by putting several drops of lemongrass into a small bowl with baking soda. Stir the baking soda on occasion to release the lemongrass fragrance. I am a native Phoenician and with my experience in real estate as well as my intimate knowledge of the local area, I work extensively to help buyers and sellers meet their real estate goals. For buyers, as a Phoenix area native, I have extensive knowledge of the metro Phoenix area from Scottsdale/Carefree in the northeast to Glendale/Peoria in the northwest to Queen Creek in the southeast to Goodyear in the southwest. I will search until I find the property that best fits your lifestyle. I will then help negotiate the best possible deal. 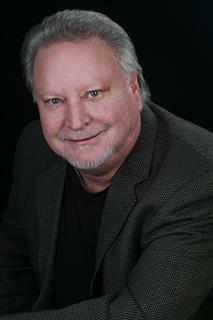 I also have extensive experience with buyers who wish to purchase new homes. If you are interested in buying a new home you have the right to be represented by your own agent so don’t miss this opportunity speak to me before visiting the builder’s models. And best of all there is no additional cost to you. For those who have a home to sell, I will work with you to design a marketing plan that works best in this dynamic market. In addition to the traditional ways of marketing your home, I can expose your home on the internet to thousands of buyers. These are buyers from all across the country and around the world that can contact me looking to buy in the Phoenix area. Nothing gives me more joy than helping my clients find and buy that perfect home. I would like to be Your Realtor. If you are looking to buy or sell a home or would just like more information, please call me at (602) 369-7882 or just email me at [email protected] Thanks again for choosing MyPlaceInTheDesert.com ‘For Your Place In The Desert’ for Phoenix real estate. Copyright 2019 Arizona Regional Multiple Listing Service, Inc. All rights reserved. Indicates a property listed by a real estate brokerage other than Realty ONE Group. All information should be verified by the recipient and none is guaranteed as accurate by ARMLS. Last updated 04/25/2019 01:31 PM.